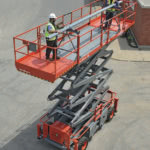 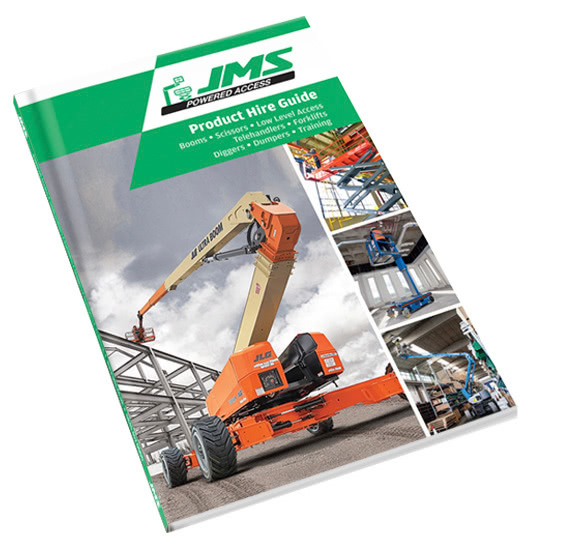 The material handling stand is a Skyjack manufacture approved multi-purpose attachment. It has the ability to be used as a pipe rack for large ducts and other pipe/conduit. 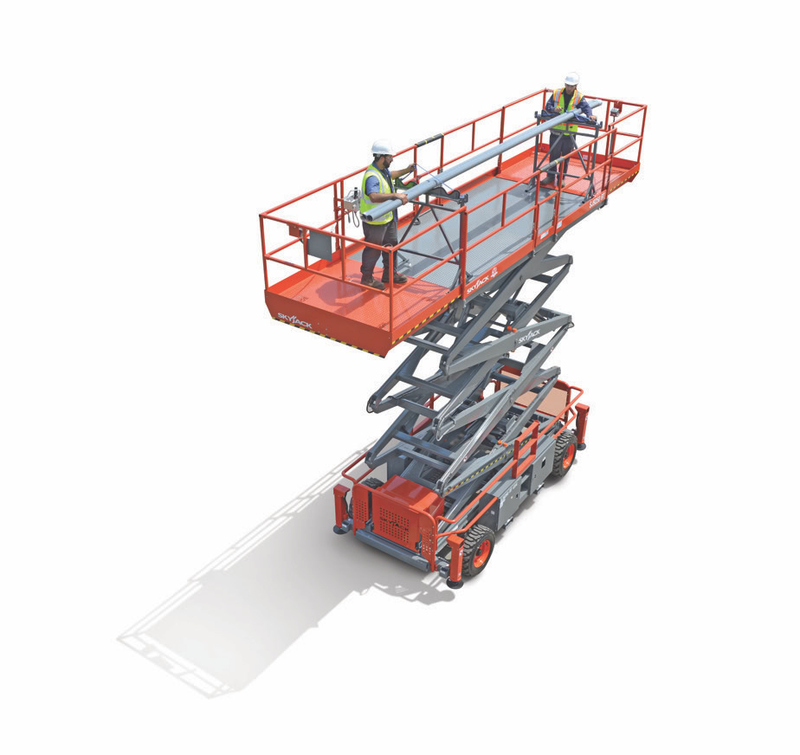 It also features a fold down cradle and extendable arms to be used as a sheet stand for boards and/or panels — ideal for cladding applications. 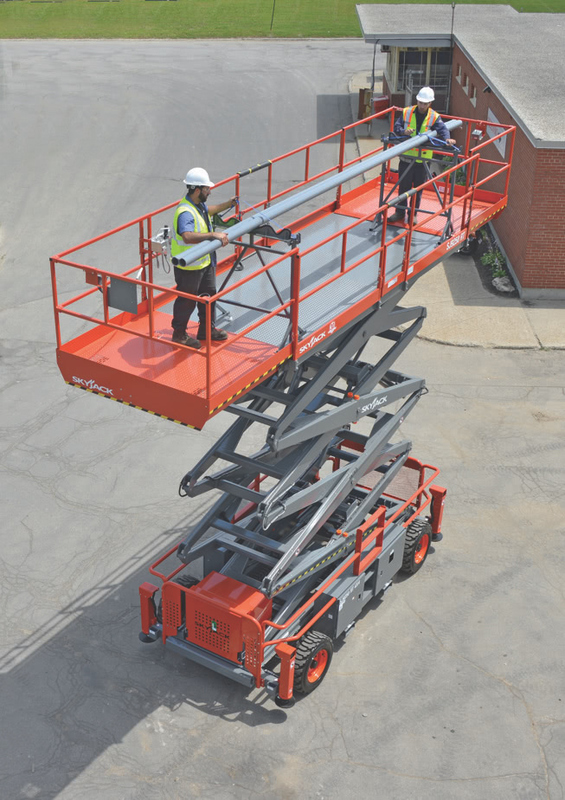 Designed for Skyjack’s full size rough terrain scissors, the material handling stand gives a safe, secure, and productive solution for transportation and material installation.